“Star Wars The Last Jedi” has larger problems then writer/director Rian Johnson’s attempts to clean up the mess that was “Star Wars The Force Awakens”. Contrary to fanboy hysteria, colorblind and gender-inclusive casting isn’t the film’s problem, it’s making those characters more than one-dimensional cyphers that truly hinder the movie. However, in his attempt to clear the playing field, the storytelling suffers and, once again, the science and technology of the Star Wars universe itself makes little to no sense. By removing Snoke and Captain Phasma, the audience for the next film can focus on one villain and one large storyline which involves the two most compelling characters, Kylo Ren and Rey. For the casual viewer who hasn’t spent their adult life reading Star Wars-related comics and novels, or watching the various animated series, the word “canon” doesn’t mean squat. That said, we never learn the evil Snoke’s motivation. In the previous film we see Ren with a group of “Knights of Ren” we can only assume were Sith-followers. In “Jedi” they don’t exist. Both the protagonists and antagonists live in a weird vacuum where they all lack motivation. Scenes of emotional importance, whether it’s Ren destroying his Vader-like mask, or Leia pulling a Force trick only seen in the cartoons, lack their intended power because we have to move along to the next extraneous subplot. One gets the feeling that if Johnson had of had his druthers, Finn would have been jettisoned out the airlock, too. He now has a new partner in crime, Rose, who is actually quite charming in that she is a grunt, a service worker of this universe who helps make things tick, but never gets the spotlight. This, of course, is to set up the potential romance between hot-shot pilot, Po Dameron and Rey who “meet cute” towards the film’s end. This isn’t my first time to dissect the latest additions to the Star Wars Universe, and at the rate things are going, quality-wise, it looks like it won’t be my last. As a cinema-goer, it’s not much to ask the big studios to create movies, whether they’re making arthouse indie flicks, or super summer tentpoles, to acknowledge the audience’s intelligence and raise the level of intellectual rigor. You can be entertained and informed, the two are not mutually exclusive. 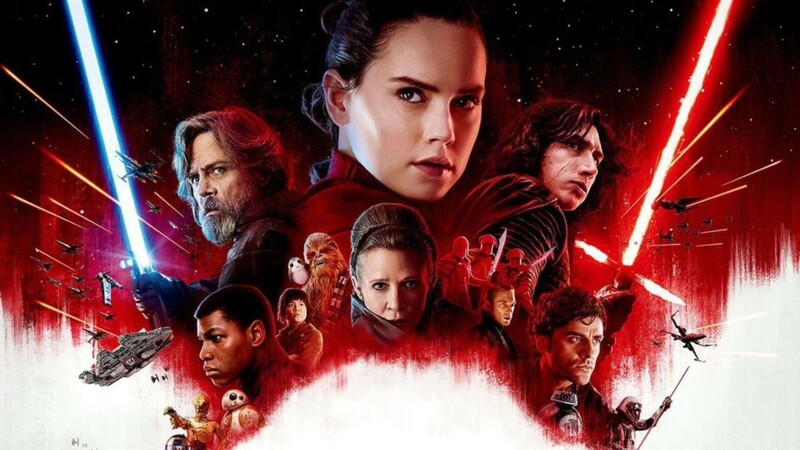 No, “The Last Jedi” isn’t a bad movie because the director didn’t stick to “canon,” nor is it a bad movie because it embraced a realistic multicultural world (on a side note, when George Lucas first screened the original Star Wars to his cinema school buddies, director Jon Landis pointed out how “white” the universe was, and that was in 1976), “Star Wars The Last Jedi” is just a badly made movie with some wonderful moments, some epic space battles and a light saber fight that is pretty cool.